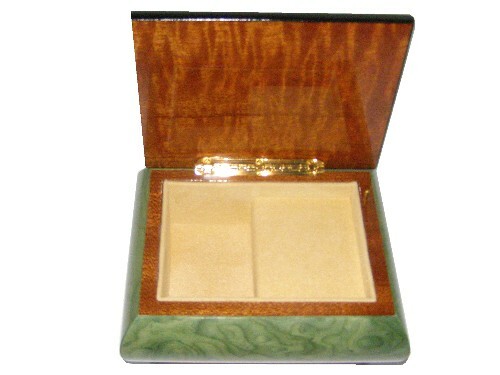 A beautiful musical jewellery box finished in a green veneer. 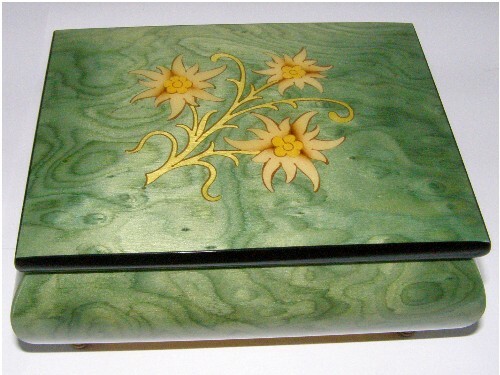 This musical jewellery box is hand made, finished in a green veneer, and coated in a gloss lacquer. 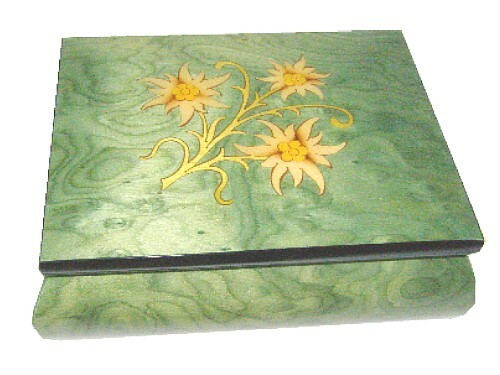 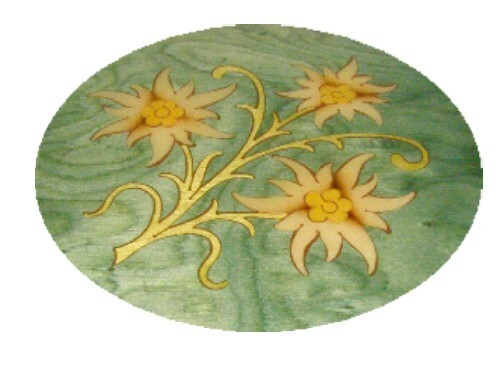 The marquetry set into the lid is of an edelweiss flower design.